Life was still difficult with her uncle—he beat everyone but Michele, even his own children. She couldn’t understand why, again she wondered why she was spared. Darkness lifted when soon after moving to France her three siblings, herself, and three cousins were placed in what she called an Orphanage. It was a school ran by Catholic nuns, and lived there full time. 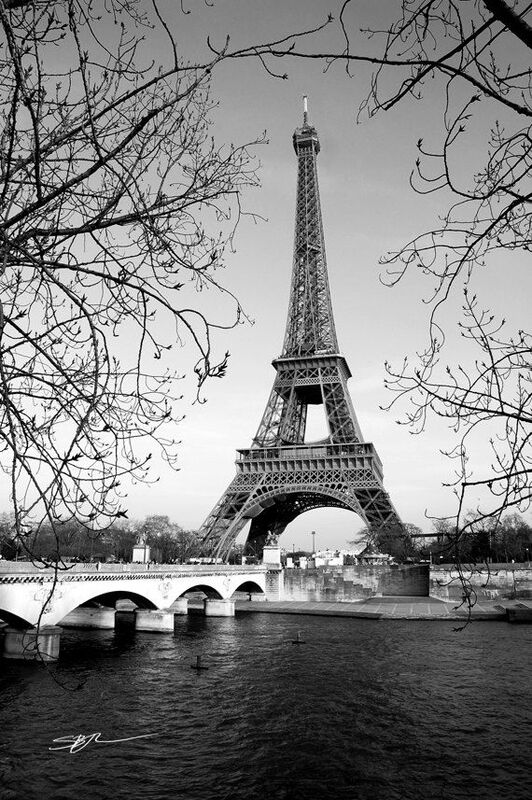 France became home, she started feeling that she could possibly find happiness again. 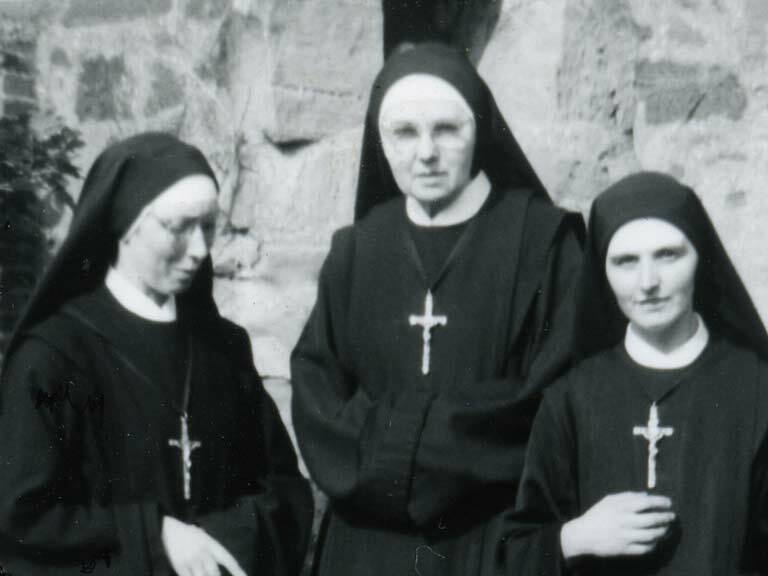 Those nuns were kind, gentle and Michele felt their love. For a time life was good, they all began learning English taught by young men. These boys who were teaching them English belonged to a church that they had never heard of. Michele made sure everyone knew that she had no interest in learning more. She was a Catholic. They continued going to the classes taught by these missionaries, soon her cousin began being interested in their church. Again, Michele spoke her feelings about how she would never leave the Catholic religion. It was all she knew. The young missionaries still tried talking to Michele, not in a way to convert her, but just friendly discussion. Michele was negative every conversation she had with them. As Michele made her way home confusion surrounded her. She had been taught her whole life that they were to follow the commandments and if they were good people they would be saved. How could that man say that her parents were in Pergatory? It didn’t make sense. As she made her way back home, she became more upset. 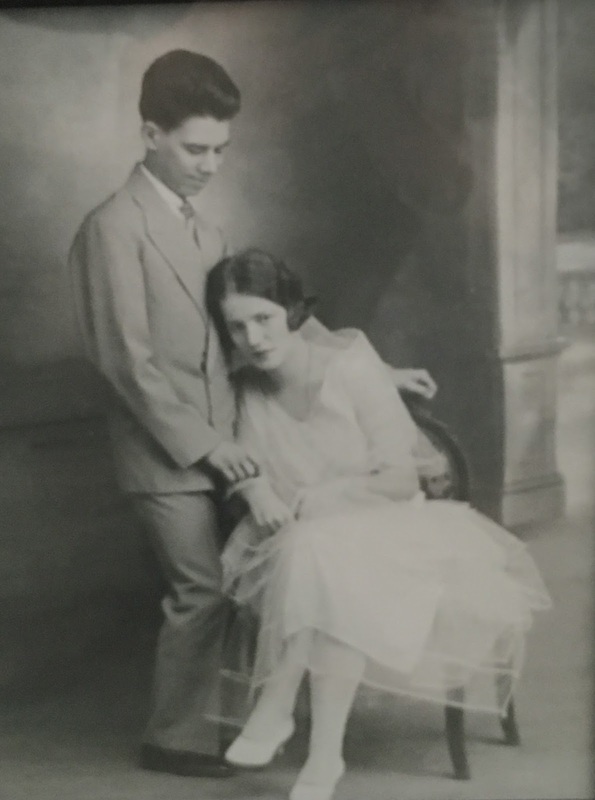 Michele opened the door to find the two missionaries teaching in their living room. Her anger exploded. She didn’t need this right now. She made a rude comment as she went into another room and shut the door. The room filled with darkness as her frustration continued. Her aunt came in and told her that she needed to just sit and listen. Michele grudgingly followed her aunt out. As she sat there she tried not to listen, she kept hearing the priest in her head over and over again. Suddenly she heard a voice “Listen.” She didn’t recognize if it was her aunt, uncle or one of her cousins, she ignored them. A second time she heard. “Listen.” But she turned away not wanting to listen or participate in the conversation. A third time the voice was loud as if shouting at her. “LISTEN!” Michele looked up suddenly, everyone was sitting quietly listening to the missionaries. Was she the only one who heard the voice? Without saying a word Michele listened to the missionary speaking. 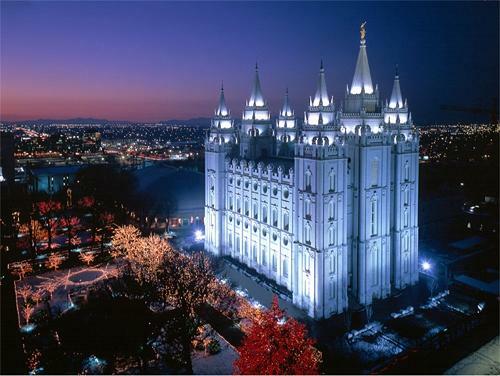 A warm feeling came over her as he described what the LDS church calls The Plan of Salvation. He explained that we will all see one another again. It was such a different feeling than she felt after talking with the Priest. 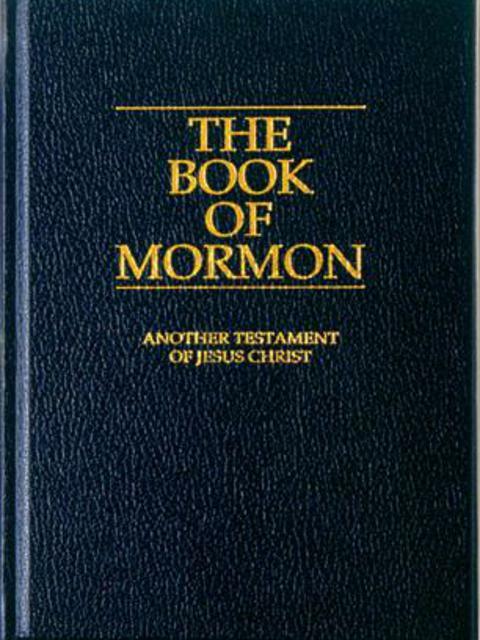 Michele read the Book of Mormon and she knew immediately it was true. Michele decided to take the book to the smartest man she knew, he was a lawyer. She asked him to read the book and let her know what he thought. When he brought her back the book he threw it and said, “This is garbage!” He had nothing else to say except that. She didn’t agree with him—Michele believed it with all her heart. Michele went to her uncle. She was more nervous than she had been about anything in her life. She had asked him if she could go to school to be a teacher and he had told her no. She had asked him several things and the answer was always the same, no. 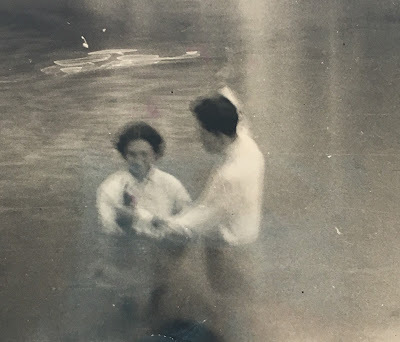 Michele's only picture of her baptism. “Papi, I want to be baptized. Will you give me permission?” She wasn’t sure if she heard him correctly, but he agreed. “Michele, what took you so long?” She knew that her life would only get better. 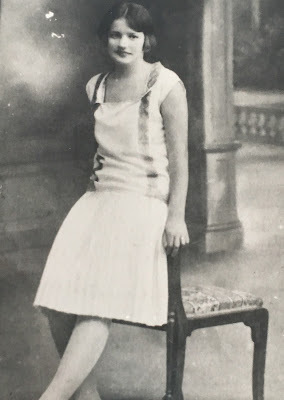 She loved everything about The Church of Jesus Christ of Latter Day Saints. She loved the Prophet, Apostles, that we all had free agency. Knowing that there were three Heavenly Beings who were always there for us brought so much peace. A kind of peace that she knew was out there, she just didn’t know where until now. Michele felt her mother and father, she knew that they were proud of her and approved. For more information about the LDS church (also knowns as Mormon Church) Click HERE. 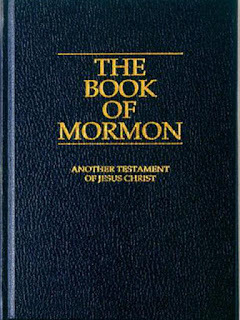 For a free copy of The Book of Mormon Click HERE.